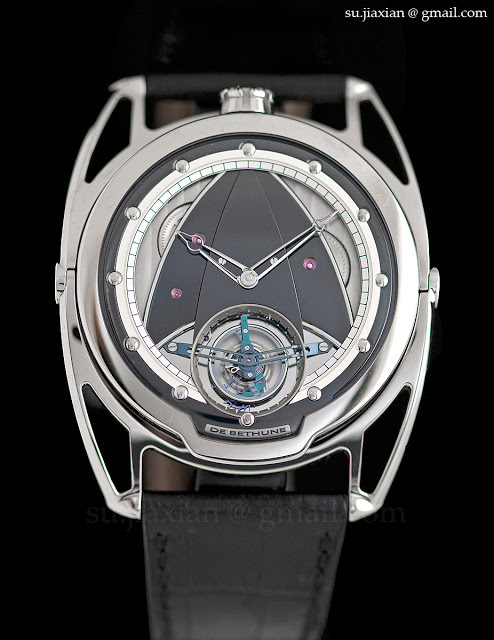 Launched earlier this year with the other novelties including the DB28, the De Bethune DB28T uses the same high-beat tourbillon movement as the stunning Dream Watch 3. 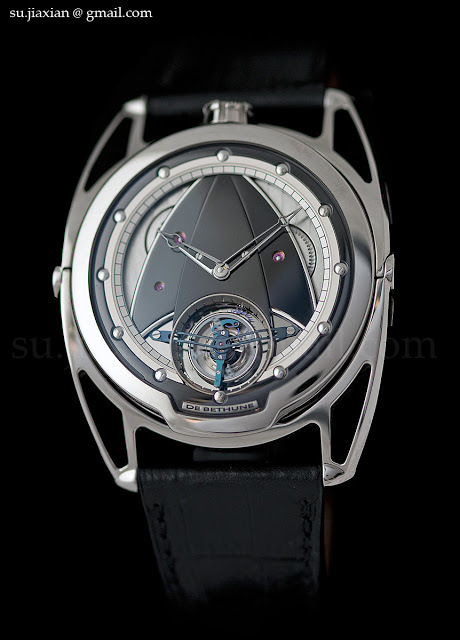 The DB28T has a similar aesthetic to the Dream Watch – it is extravagantly shiny and a sight to behold. 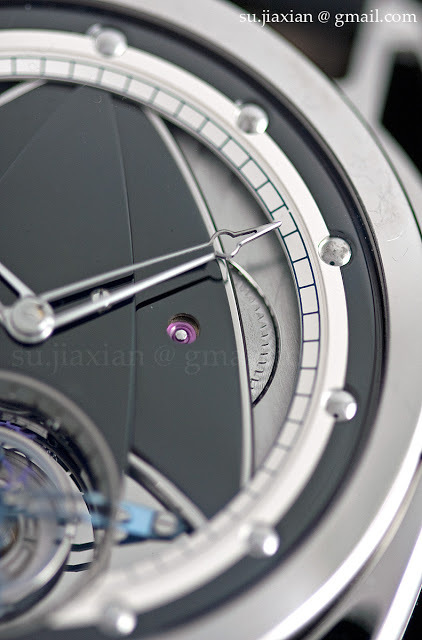 Unlike the Dream Watch which has an asymmetrical case, the DB28T has skeletonised spring loaded lugs first seen on the Maxichrono (which itself has not been seen). 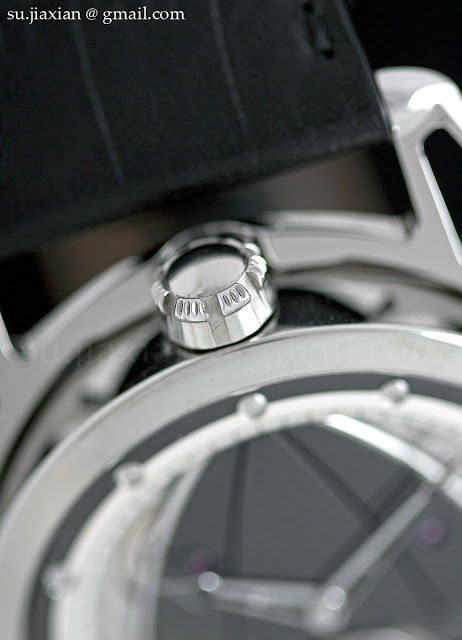 This allows the DB28T to hug the wrist; coupled with its light titanium case it sits extremely comfortably on almost any wrist. 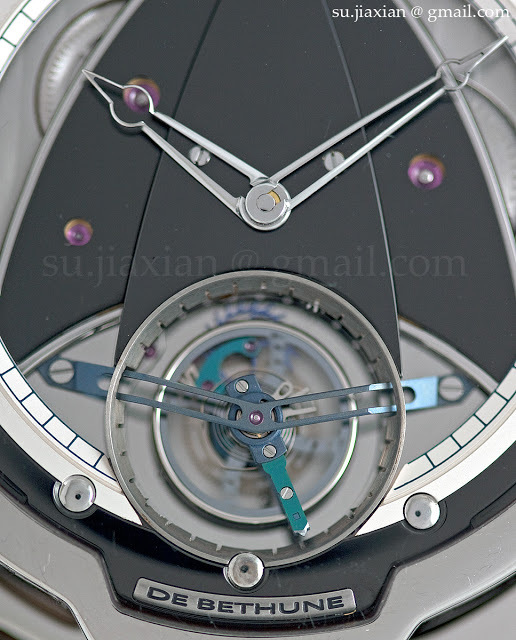 The dial for the version pictured here is a mirror-finished blackened titanium. 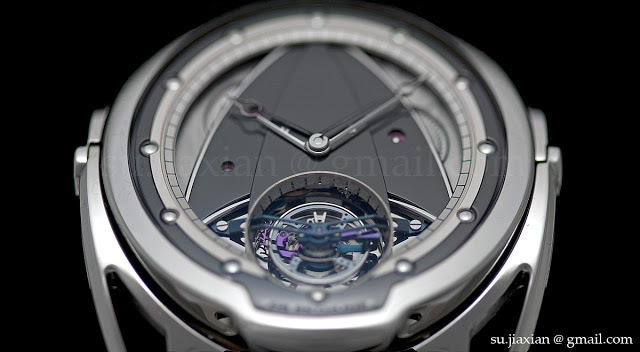 The DB 2009 calibre has a silicon hairspring, escape wheel and tourbillon carriage, giving the tourbillon a weight of just 0.18 g. It is also fitted with the De Bethune triple pare-chute shock absorber system. 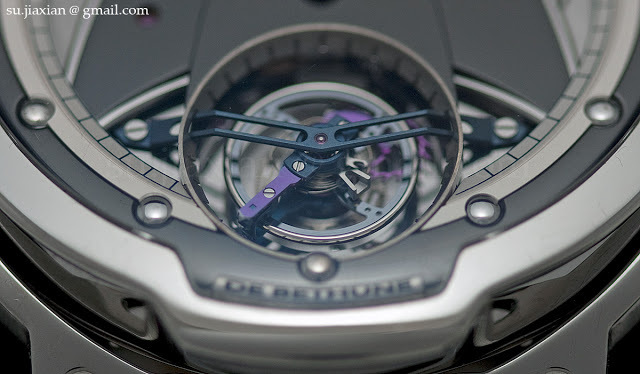 And it is also the only tourbillon that runs at 36,000 bph. 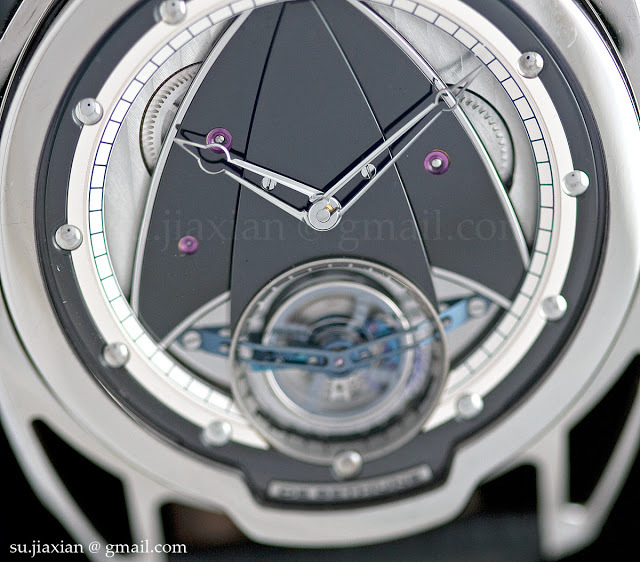 The latest issue of its in-house magazine shows the new Patek Philippe 5235G annual calendar with regulator dial, containing the new 31-260 movement. 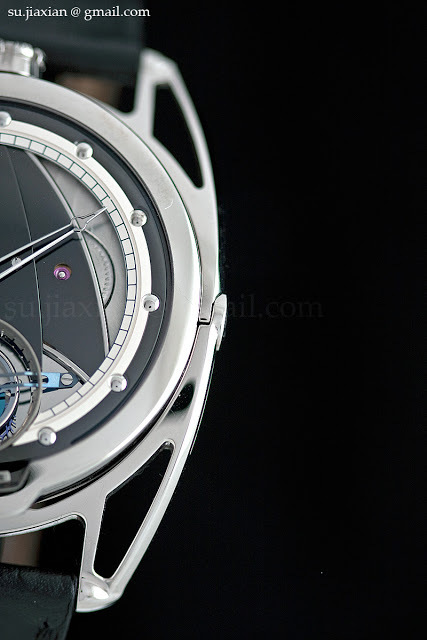 Like the 240 it’s a microrotor calibre but it is a new calibre. I like the elegant, yet modern, shapes of the bridges. 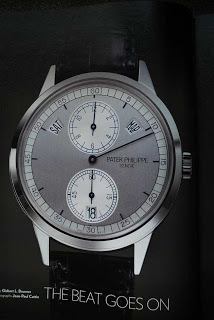 As far as I can remember, this is the first Patek with unusual time display since the 1989 anniversary jump hour. 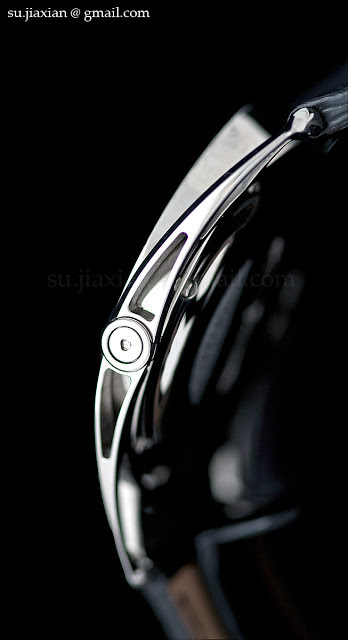 – SJX Update: Full news on the new Patek 5235 Annual Calendar Regulator.